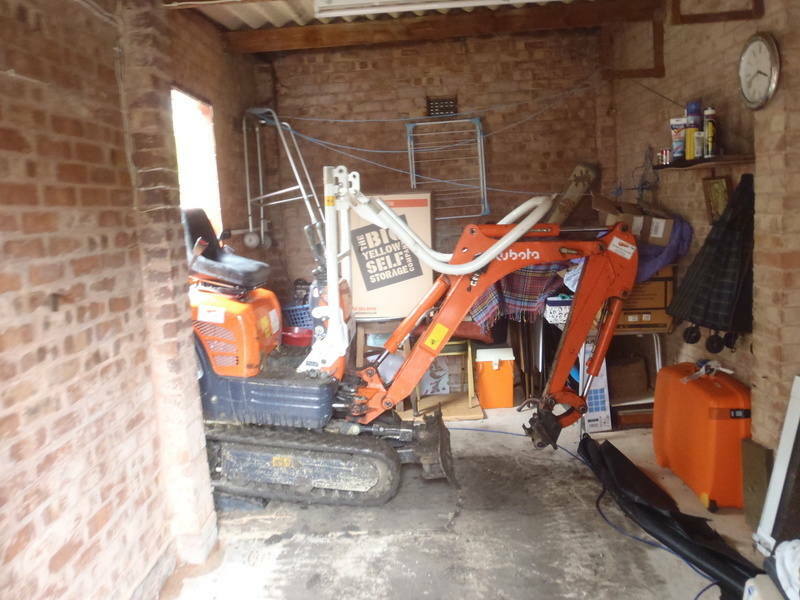 As well as larger sites, one of Earthmoving Services' specialities is gaining access to and working in sites that are small, confined or awkward to access. 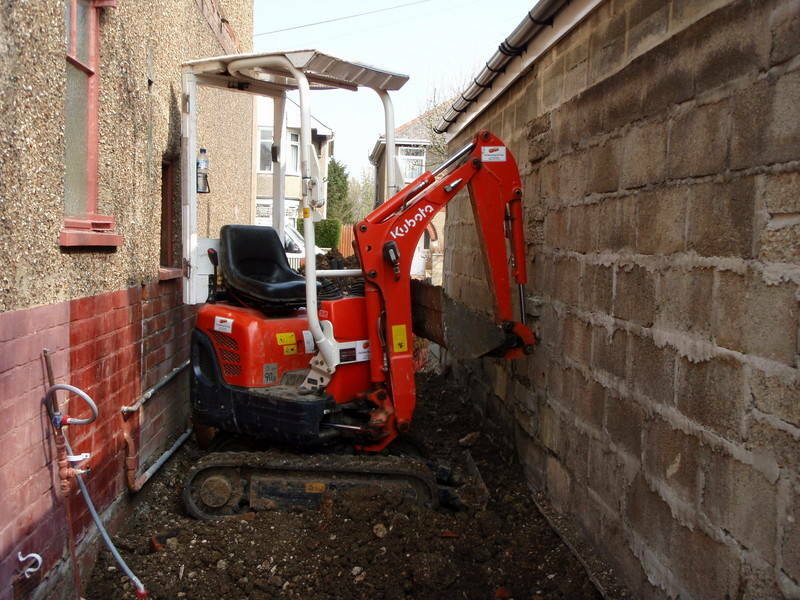 Our smallest mini excavator and dumper are capable of going through properties or height restricted areas due to their low height of 1.4 metres. 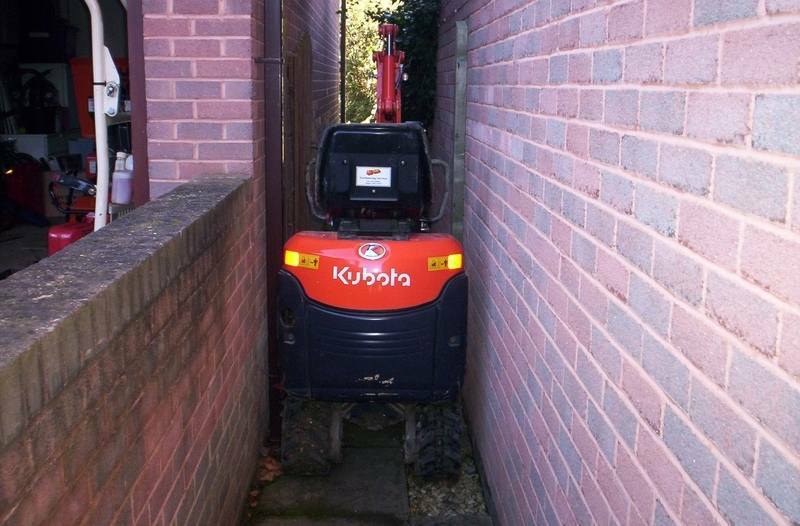 If height isn't the issue but width is, these machines only require a 685mm (27 inch) wide gap to squeeze through into your site. 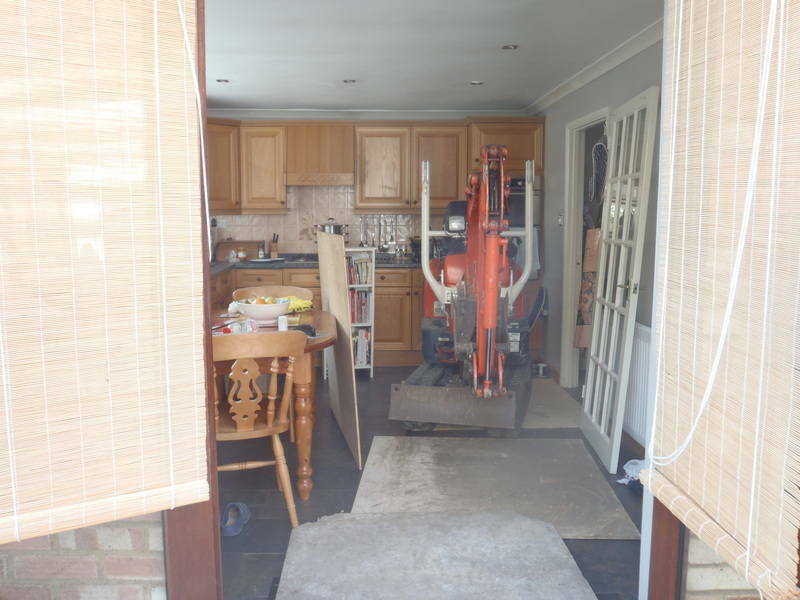 Once onsite they can work in tight spaces, up against walls, buildings and other objects to effectively move your project along. 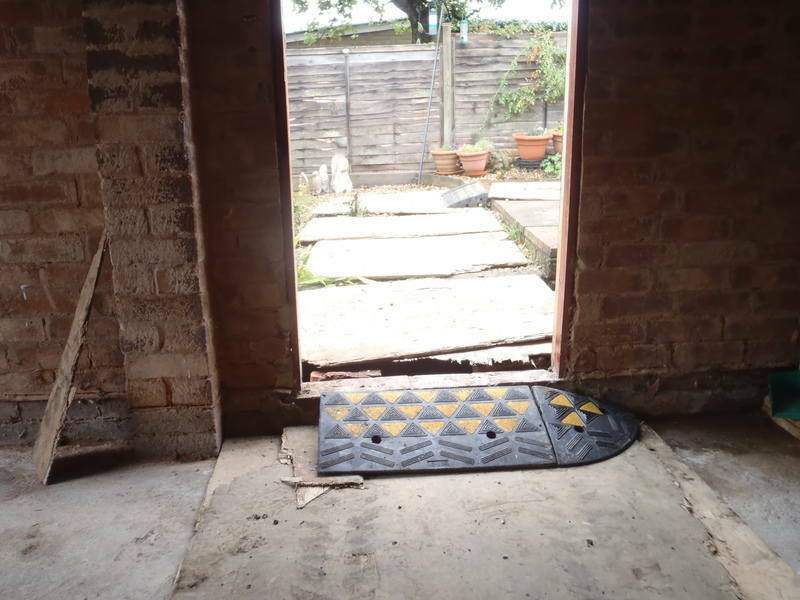 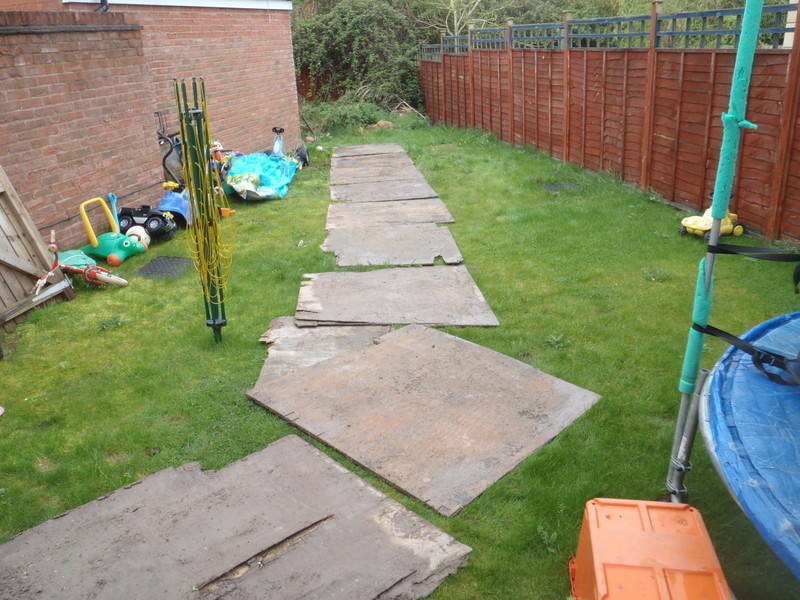 When working in gardens and other sensitive areas we are happy to offer you the option of placing wooden boards down to help protect the sensitive ground whilst the works are carried out. 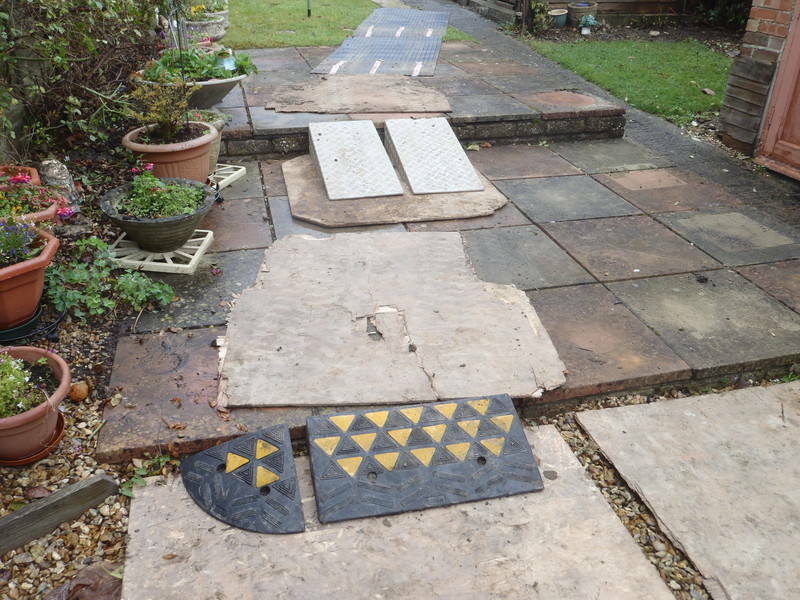 Unusual site?, Unsure if we would be able to help? 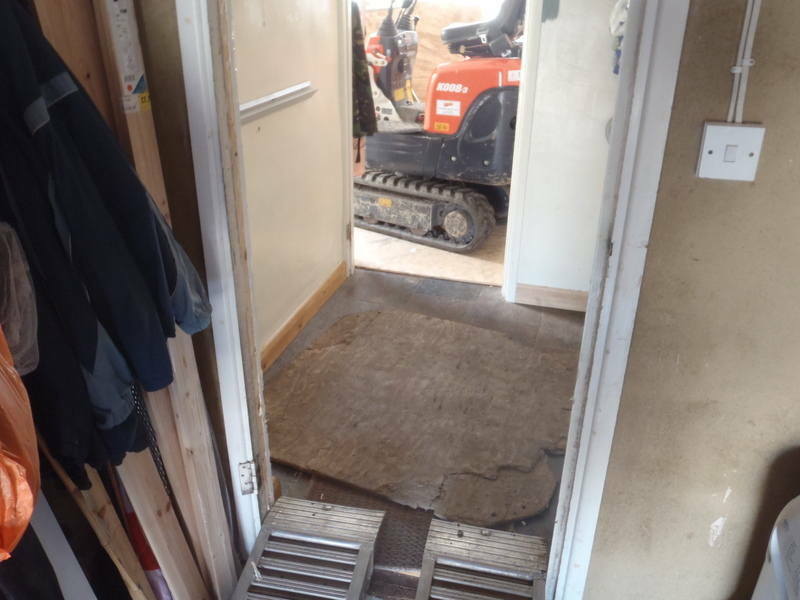 Please call to discuss - we would be more than happy to arranage an onsite visit anywhere in Swindon and surrounding areas to see if we can help.